1. I love that Miss Nanny interacts more in this version. She was portrayed in the original as just a pair of green striped socks, a pink dress and a purple sweater without a head (see photo to the left). Looking back, it was creepy AF. Who would let that maniac watch their babies? to fend for themselves all day seems crazy even though most of us grew up with little supervision. 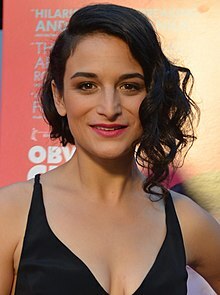 She is seen helping them make art, singing songs, reading to them in what appears to be similar to modern-day circle time, and she even baked Piggy a birthday cake in Season 1. She is a good middle ground between absentee caregiver and helicopter sitter and makes for a much more trustworthy nanny than the headless longstockings. 2. A lot of characters are missing from the new series, but Kermit, Piggy, Animal, Gonzo, and Fozzy appear in the new show alongside a new friend— Summer. She’s an artsy penguin who shows us what it is to get anxiety in the episode where the babies pretend to fly a plane (Animal actually comes to the rescue and saves everyone by flying the plane). While on the topic of Summer’s anxiety, it is also apparent that some of the other “babies” struggle with emotional and developmental delays. Miss Piggy’s bossy behavior, Animal’s apparent speech delay, hyperactivity, and sensory impulses demonstrate underlying lessons for the gang about acceptance, inclusion and problem-solving is part of the show is priceless and many special needs parent would be overjoyed at how much kids love Animal’s character since he is probably the kid typical parents would likely shew their child away from. In addition, they all appear to be potty trained now! Back in the original series, many of the “babies” wore diapers but since the 1980’s higher demands are put on children to be potty trained by 2.5 years of age indicating that today’s Muppet Babies are probably preschool aged. 3. Miss Piggy shows more vulnerability in this revival. While she is still stubborn and strong-willed, she is far less bossy and is the type of child the other’s could learn from. They learn how to socialize with someone who is bossy and Piggy learns how to compromise, share, and be a good friend. (Lets be honest, the original Piggy was kind of a bully and this new one is way more likeable). 4. 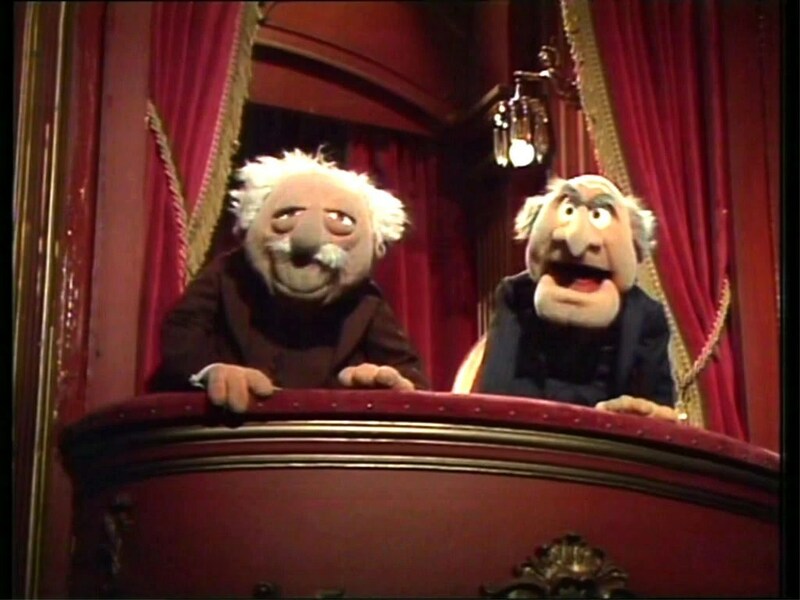 The neighbors are Mr. Statler and Mr. Waldorf which is pretty awesome. I always felt a bond with those grumpy old guys, especially as a mom. 5. Is this an orphanage or a school? Looking at the building, the brick decor, and colorful slides that lead to their outdoor playground are strong indicators that this is a school. They seem to do a lot of arts and crafts, imaginative play as well as independent play (kind of like “centers” in preschool). Between Nanny singing, dancing, and preparing meals, I’m going to call it a home daycare because of the ratio of children being limited to six and the Nanny is not always clearly watching them. There is also the obvious factor that no one else works there. Target.com is selling a Muppet Babies “School house” playset….which is evidence that they do in fact go to school and it is not an orphanage! There is one last thing that still gets me….we never see them never go “home” and they are never picked up by anyone which leads to me to the most important mystery of why it could possibly be an orphanage after all—Where are their parents? Or maybe, Nanny is just a creepy old “cat” lady who talks to her stuffed animals…who knows. Previous Previous post: Mischief Momma’s 7-item Holiday Wishlist for Mischievous Mommas!